*NOTE: After Pay Pal payment click RETURN to Website and provide birth information! This professionally prepared personal birth chart is based upon your time and place of birth, and can be used to promote personal growth or as a great gift for someone else. Each chart includes planets, aspect grids and explanations of symbols. We all have a natal chart with planets at a specific location at birth, to see where we are in our lives astrologers use what’s called a progressed chart. Reading a life progression Chart is exciting. It is like opening a window on some future version of yourself and what influences will be impacting your daily life. This insight into your future can help make the right choices at the right time in your life. The study of numbers and how they relate to us is called Numerology. It was the Greek mathematician Pythagoras ( 569-470 BC) who was one of the First scholars to use the numerology system. He laid the foundation which formed the basis of the current system used today. With your birth date and birth name, using numerology techniques it is possible to determine the type of person that you are and which path you are best suited for in this life time. This numerology report will enlighten you by discovering your greatest talents and your true inner self versus the image you project, what you really want and your quickest route to love , success and happiness that you desire. What are we best suited for? This report can serve as guide to choosing a career path that will allow you to realize your full potential and ultimately provides insights into the areas that you are best suited. To do this the report analyzes your personal characteristics, strengths or inhibitions, creativity, as well as your ability to earn money. Throughout this report numerous indications of possible vocations or professions related to your astrological influences are outlined. Have you ever felt like you had been somewhere before or met someone in the past? With the past life report you’ll be able to see how you have progressed along the karmic path while learning each lesson until they lead you to where you are today. The past life report covers challenges, blessings, and opportunities that are no accidents. As the direct result of past lives stretching back in time they are the imprints that you’ve made along the way. Have you ever wondered which city you are most compatible with? Moving can be fun and exciting if you know where to go? The results of this astrological report are based upon the analysis of planetary positions and the influences of that particular location. These reports are great for individuals that are considering a move or maybe just a new start. The use of what astrologers call a “relocation chart” can help one to answer questions that may be vital to success in all aspects of life. • Is this a place that one may want to consider relocating to or is it best suited for a visit? • Will the business environment be a friendly one? • Is this a place where romance can flourish? • How do other people affect me and if so how do the best of it? You have a chart and your partner has a chart, but did you know that your relationship also has a chart? 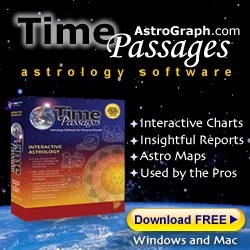 A composite chart is a unique tool that astrologers use to get an overview of a partnership, constructed by using the midpoints between each of the individual’s charts creating a new chart. Your simpatico composite chart reveals secrets of your relationship, and the essence of what you can do and be together. Please include birth data for both individuals on the order form. Your Personalized Simpatico Report will include a detailed analysis of the planetary aspects of your relationship, starting with the three primary influences: the Sun, Moon, and Rising sign (or Ascendant). These aspects correspond respectively to the heart, imagination, and persona of your relationship. Use your Solar Return report to help you set the tone for the nxt year of your life. It can help you ease into the coming months, or urge you to jump into life with greater confidence. Regardless of your plans for the coming year, you will benefit from astrological insights found in the Solar Return Report. A Tarot report is one of the most popular ways to find answers to ordinary questions in your life, the accuracy will amaze you, whether it’s love, money, family, career you’ll Know what’s going on at this moment in your life and what to look forward to. This report tracks the current influences of all the planets as they relate to your precise birth chart, it also describes future trends in your life particularly psychological and Environmental changes that you are likely to encounter. Each astrological influence Lasts from a few days to a few months, so you can prepare for and gain insight into Longer term as well as short-term trends in your life. Knowing when a trying period will end really puts a light on the horizon, and favorable periods which can be better taken advantage of. 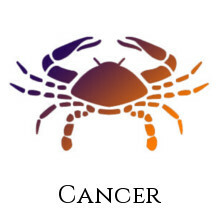 The forecast report is also based on the astrological techniques known as Transits and Progressions. With an accurate birth time, the report also includes the passage of planets through those important astrological houses of your birth chart. Who you are as a spiritual being? What makes you who you are and what drives you to do the things that you do? Our spiritual character and needs are well defined from the instant of our births. Yet from that same moment forces around us begin to exert sometimes-overwhelming influence on the direction of our spiritual development. Though well intended these forces may move us along a path that is in fact contrary to our own best interests. The spiritual path report delves into your birth chart to illuminate your personal path and spiritual destiny given to you at birth. This report does not attempt to define your spiritual goals, or offer philosophical opinions about what they should be but rather it gives you a look “inside”. It provides an unbiased perspective on the characteristics that define who you are on a spiritual level. More importantly it gives you a clear understanding of how you can best nurture and develop those characteristics that enhance your progress towards spiritual maturity. What are the dynamics when two people meet? Are they bound for friendship or long-term intimacy? This report accurately analyzes two friends or two lovers according to the way that they individually approach relationships and how they specifically relate to each other. The report outlines the strengths and challenges within the relationship. Remember that every relationship contains points of similarity and harmony as well as conflict and discord. Through understanding, it is possible to cultivate and encourage the Positive and harmonious, and keep relationships growing and fruitful through the high And lows of the passing years. Discover the incredible power of astrology and how it can be used to reveal insights into your personal, professional and romantic life. Since the beginning of time people have looked to the heavens for answers and advice. Today’s world is no different and people are still looking for answers to questions that surround daily life. • What are my natural strengths and talents? • What does life have in store for me? • How do I express myself? • How do I express my emotions and what do they mean? The Personal Astrology Report is an exclusive book about you, and is constructed from your “natal” or “birth” chart. This chart is a based upon the time and place of your birth and is a snap shot of the genetic blueprint of your character and makeup as well as your ultimate potential. This report represents a life plan that is unique to you. *Acrobat Reader is required in order to view this documents. If you do not have Acrobat Reader, click here. These reports are derived from observations made by astrologers over the last century, and are based upon the major asteroids Chiron, Ceres, Juno, Vesta, and Pallas Athena. The report provides interpretation of these major asteroids and how they affect your capacity to nurture, love relationships, problem solving skills and the areas of your life most in need of healing. Represents the ways and means with which you can guide others, as well as the Kind of mentoring and healing you seek for yourself. Describes what one really cares about and the way one nurtures others (and Needs to be nurtured oneself) in a parental kind of way. Represents both the need for a relationship or marriage and the refusal to accept Inequality within context of a relationship. Represents things that you feel compelled to give up or sacrifice, often out of a Sense of spiritual compulsion. Signifies wisdom and creative problem solving in which a holistic view of Conflicting or opposite elements (Masculine and Feminine) is required.